Far more than a meal out or evening of entertainment, Luau is a celebration of the island culture, showcasing the fine food, dancing and other traditions which are an essential part of life in and around Hawaii. If you're looking for a truly spectacular fusion of Hawaiian/American cuisine served in authentic surroundings and accompanied by a vibrant, high-caliber Hawaiian dance, we look forward to seeing you. We operate an “all you can eat” buffet for a set price, ensuring that you always know in advance exactly how much your meal is going to cost. Our menu includes adventurous choices such as Kalua Pig (roast pig), Poi (taro potato) and Haupia (coconut pudding), as well as a selection of salads and fresh fruit. We offer unlimited refills of soft drinks, tea and coffee as part of your dining experience. Alcoholic beverages are also available, including some intriguing combinations such as our Blue Hawaii and Germaine's Special. Suitable for a wide range of tastes, we aim to provide a delicious choice that's always appealing. Why Not Enjoy Hula at Your Celebration? 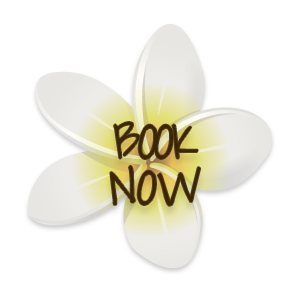 If you're planning a birthday party or other special occasion, why not book for a fantastic backyard-style Hawaiian experience? Providing a memorable experience that your guests will look back on fondly, our winning combination of fine food and Hawaiian dance ensures a spectacular event that's certain to be appreciated. We are always happy to customize your experience to meet your individual preferences. We have been bringing visitors and guests authentic Hawaiian cuisine and dancing for some years now, offering an enviable fusion of the very best which the islands have to offer. We will always do our utmost to provide an exceptional level of service–it's no surprise that many of our reservations are repeat ones! To find out more about what we can provide or to book, call us now at (800) 367-5655.